Rinse outer shell of eggs, crack into a large bowl and whisk Chop the capsicum, tomatoes, basil and spring onion and mix into the whisked eggs. Add salt. 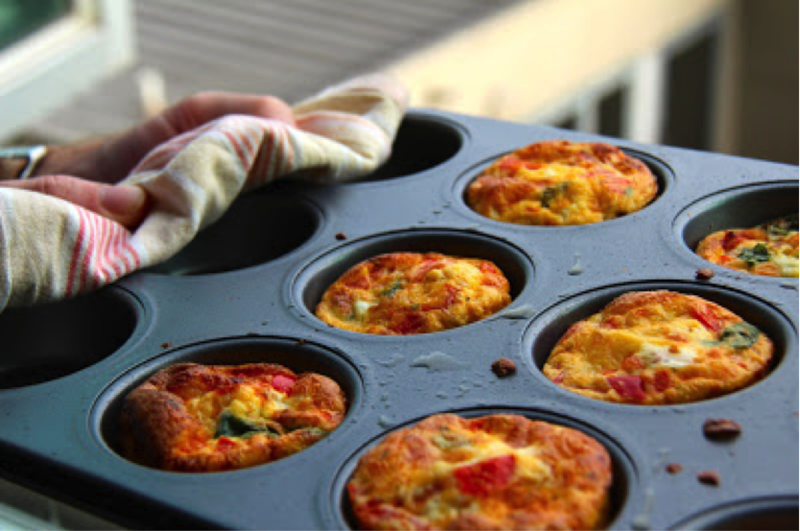 Spray muffin pans with non-stick spray. Pour mixture into the muffin tray. Place tray in the oven at 180⁰C for 25-30 minutes. 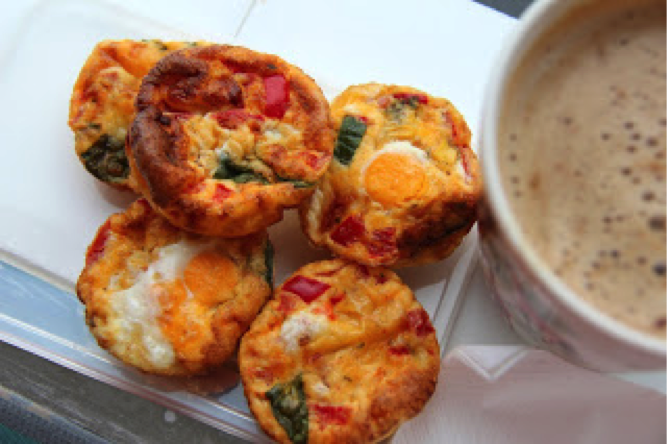 Muffins can be frozen to be enjoyed as an on-the-go breakfast for a couple of weeks. To defrost, place muffins in the microwave for 30 seconds to 1 minute.